Home / iOS / How to Boost WiFi Signal on iPhone to Improve It? Bad Wi-Fi signal at home may cause you some serious headache. 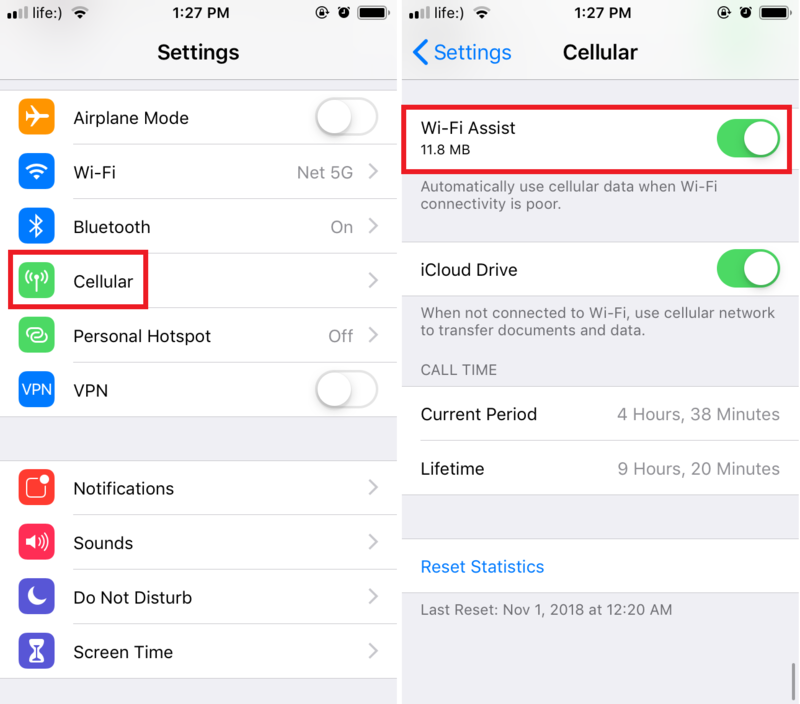 It not only annoys the user, but also can lead to some unexpected expenses when your iPhone switches from Wi-Fi to cellular because of the weak Wi-Fi signal. If you experienced something similar and wonder how to boost Wi-Fi reception on your iPhone, here are a few things to consider. Some of them are quite basic and do not require you to spend money on additional hardware. Do note though, that you will get the best result only after buying a better router or setting up a mesh network with Wi-Fi extenders. For your information: forget about software Wi-Fi booster. These apps never work and simply trick the user to download adware or even malware. Wi-Fi reception has nothing in common with third-party tools or apps. There are though some applications that help you to select a less-crowded channel, but they do not improve Wi-Fi signal itself. If your iPhone Wi-Fi reception is weak, do not rush to mess with a network equipment. Check whether other gadgets have the same issue. Note that different devices have different Wi-Fi antennas and reception possibilities. For example, iPad is physically bigger, thus it receives Wi-Fi better than the iPhone. Maybe you are struck by a simple bug. Network reset might help you to solve the problem. Restart your router and iPhone. Most of the network problems are solvable by a restart. That is simply how network equipment works. After your stuff booted back to working state, check whether the problems are gone. If they are not, reset Network Settings on your iPhone. 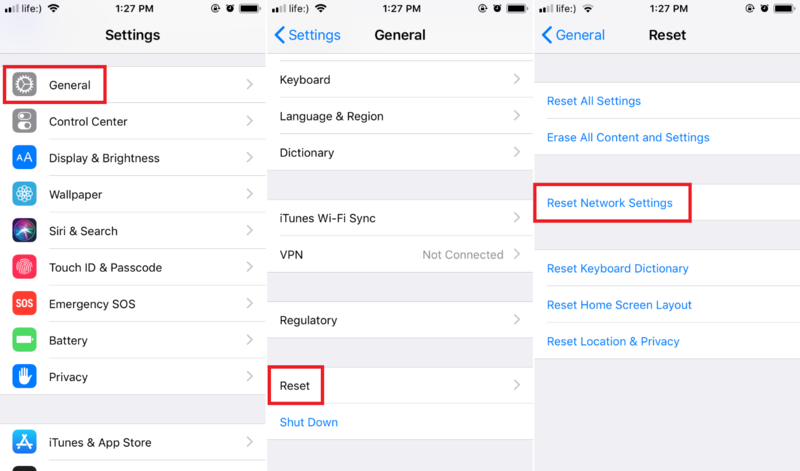 Open Settings > General > Reset and tap Reset Network Settings. After this, you will have to reconnect to the Wi-Fi network. Where is your router? Make sure it is not hidden somewhere inside the drawer. Sure, Wi-Fi router is not a renaissance painting – it is not a piece of art you want to display. But unfortunately, you should (because the more you hide it, the weaker Wi-Fi signal becomes). Sometimes changing router location drastically boosts Wi-Fi on iPhone or another device. Make sure your router is placed on visible, free from obstruction space, which is not blocked by walls, furniture, your PC, TV or other gadgets. The best place to put a Wi-Fi router is somewhere in the center of your apartment or house to spread the signal evenly. READ ALSO: Screen Mirroring on iPhone and How to Record iPhone Screen? AC? N? G? What are these letters? They stand for Wi-Fi standards. 802.11ac (recently it was renamed to Wi-Fi 5) provides faster speeds and better throughput (up to 6.77 Gbps). Open router settings and switch it to the AC. This will improve Wi-Fi reception on iPhone. If a router does not support this standard, make sure it works in at least 802.11n (Wi-Fi 4) mode or just go buy a more modern router that supports AC or even AD (up to 7 Gbps). 5GHz or 2.4GHz? 5GHz network gives you better speeds, but smaller coverage. 2.4 GHz works vice versa – better coverage, but lower speeds. Switching Wi-Fi channels. If you are living in a private house, this tip almost has no value for you. It’s mostly for those who lives in an apartment building. These boxes are literally filled with Wi-Fi routers that interfere one with another. If you want to have the best reception and Wi-Fi performance, you need to select the less-crowded channel inside the router settings. This will improve Wi-Fi signal on your iPhone and any other device. How to find the best Wi-Fi channel? Well, there are dozens of apps for doing so. Network Analyzer works perfectly fine and it is also completely free. Wi-Fi Assist. iOS has a nice feature called Wi-Fi Assist. When enabled, it aquatically switches your iPhone to the cellular connection, thus preventing device going offline. Be careful with it. While it may be very useful with a bad Wi-Fi Networks, automatic switching to the cellular connection without a notice may result in charges if you have limited data plan. READ ALSO: How to Block Websites on iPhone and iPad? Go to Settings > Cellular. Scroll down and turn on Wi-Fi Assist. Physical damage. Well, bad things happen. Maybe there is something wrong with your iPhone’s modem or antennas? How to check this? Disconnect everything from your router and stand next to it with your iPhone. Check whether the signal strength is good enough. If it is weak even when your phone is lying on the router, maybe it is time to visit Apple Service and ask them to diagnose your iPhone for a “network diseases”. If you are ready to spend some money on new network equipment, here is a couple of tips what to look for. More antennas – better coverage. Buy a router with a few antennas. Four will do the job. The more antennas your router has, the bigger coverage you get. Bigger – better. Mesh network. If you can allow yourself spending more on a decent network equipment, consider buying Wi-Fi Mesh system. How does it work? Mesh system is a set of different access points that are connected to the main hub. This gives you a far bigger coverage than a simple router provides. As a result, you have a solid Wi-Fi signal everywhere in your house. The Downside is obvious: mesh systems are quite expensive. You can also buy two simple routers and connect them using ethernet cables to create an additional network for a distant room where the signal from the one router becomes weak. My question is, how do you know what DNS address to put? Is this something that matters for you or can I arbitrarily choose one of the two you put down? you can choose any one of them. They’ll definitely work .